Pro-Russian Militants Confirm Capture of Vice Journalist Simon Ostrovsky - trendistic.com: ever tried. ever failed. no matter. try again. fail again. fail better. 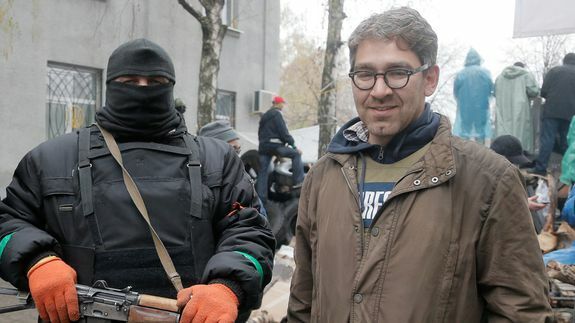 A spokeswoman with the pro-Russian insurgents in Sloviansk, Ukraine, confirmed on Wednesday that they have captured Vice News reporter Simon Ostrovsky and are holding him hostage.